The Pegasus XL Launch Vehicle is a light-weight lift vehicle operated by Orbital Sciences Corporation. It can deliver Payloads of up to 443 Kilograms into Low Earth Orbit. 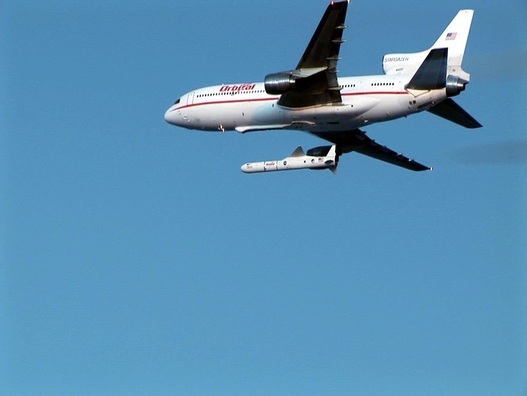 The Rocket is launched from the L-1011Stargazer Aircraft which makes Pegasus a high flexibility launch system as it is not depending on a fixed Launch Location and associated ground weather. 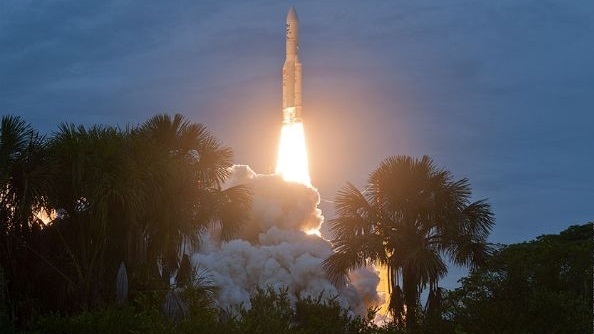 Also, launching from an Aircraft enables the vehicle to reach a variety of Orbits with different inclinations including nearly equatorial orbits. 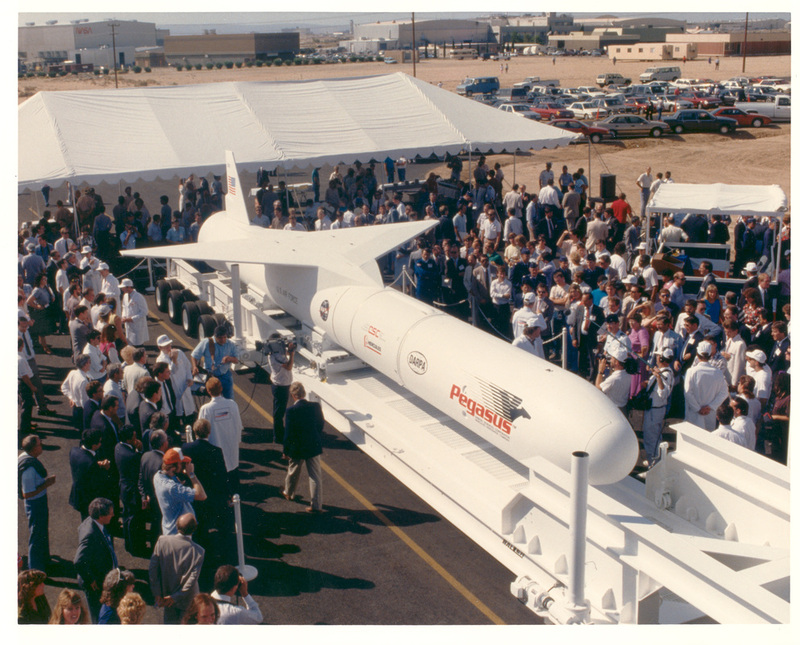 To date, Pegasus has made 40 Launches, 35 of which were successes and 2 partial failures. Pegasus made its first flight in 1990 delivering two satellites to orbit. The vehicle is a three-stage, solid propellant rocket with the option of a fourth, liquid fueled stage. 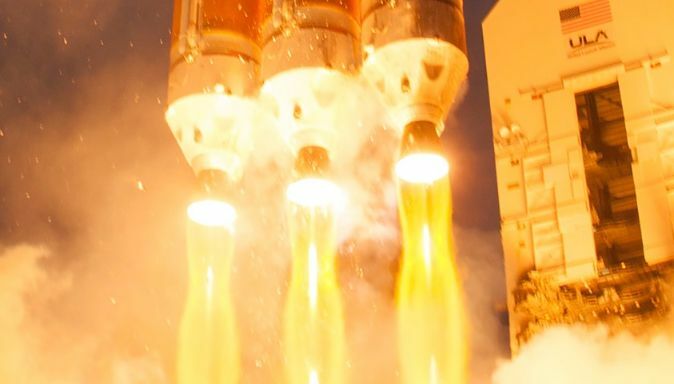 The Launch System is a low cost option for smaller payloads not requiring precision injections. At T-0 the Launch Vehicle is released by the L-1011 Aircraft and free-falls for five seconds before igniting its Orion 50S Solid Rocket Motor – the first Stage of the Vehicle. It burns for about 69 seconds before shutting down at an altitude of about 61 Kilometers. 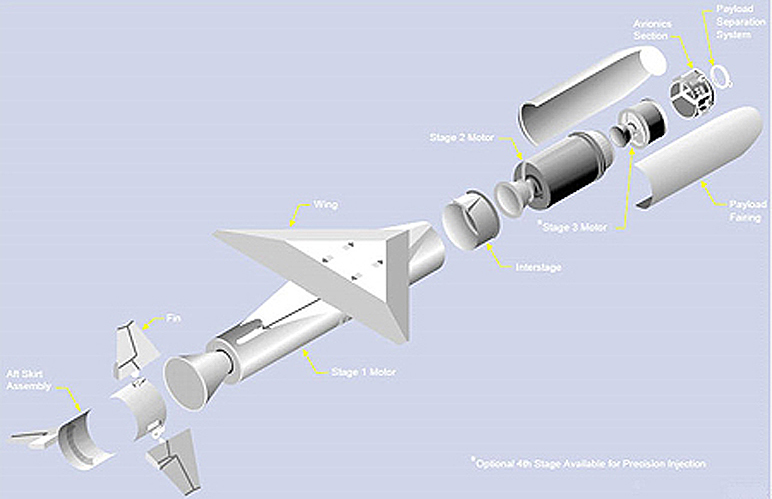 During first stage flight, the Rocket is controlled by its fin actuators that provide pitch control. 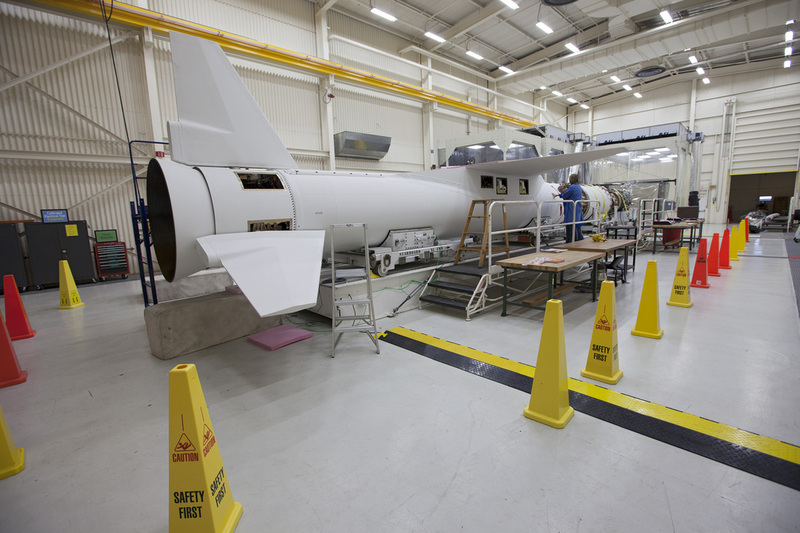 The Orion 50S does not have Thrust Vector Control Capabilities. 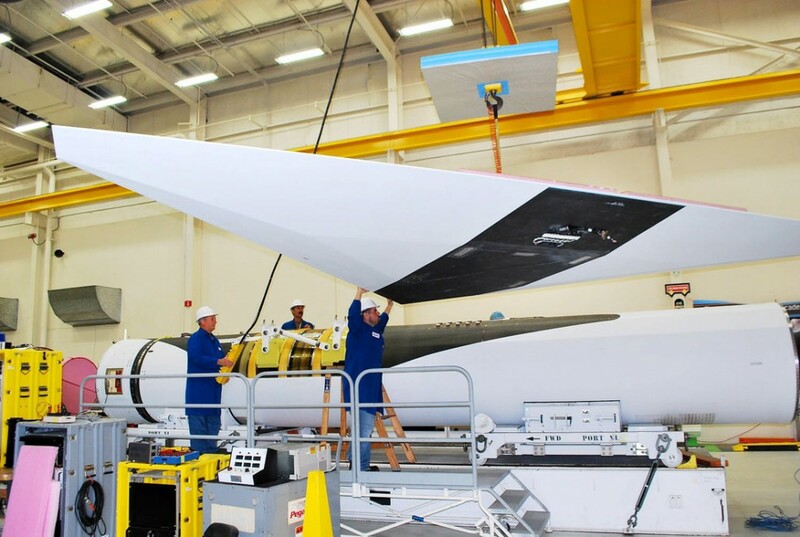 A Delta Wing provides some lift and supports a pitch maneuver that is initiated shortly after ignition. After first stage cutoff, the vehicle holds on to the stage for several more seconds before stage separation occurs. The Wings and Fins are jettisoned with the first stage. 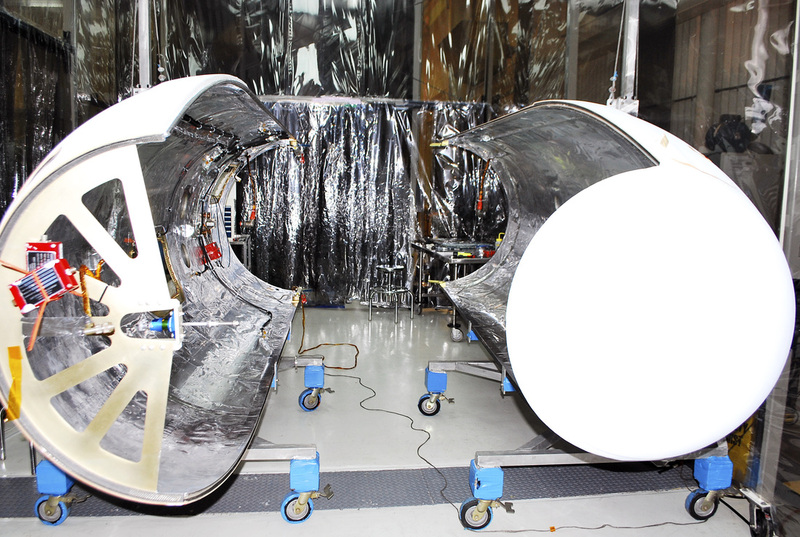 The second stage of the Pegasus rocket is an Orion 50 XL manufactured by Alliant Techsystems, ATK. It is 3.07 meters long and 1.28 meters in diameter with a launch mass of 4,306 Kilograms. 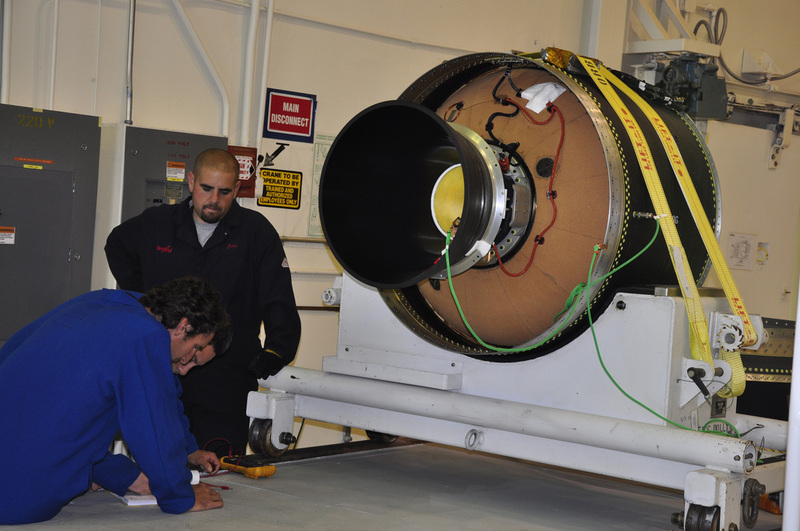 The motor is loaded with 3,915 Kilograms of QDL-1 HTPB-based solid propellant operating at a pressure of 70 bar. Orion 50 XL provides a maximum thrust of 194.4 Kilonewtons and an average thrust of 158 Kilonewtons. The third stage is equipped with a high-expansion nozzle for operation in vacuum. The nozzle is gimbaled using an electromechanical Thrust Vector Control System for pitch and yaw control. A Nitrogen Cold Gas Attitude Control System is used for roll control and attitude control during coast phases. Orion 50 XL has a burn time of 71 seconds. Serving as a third stage on Pegasus is an ATK Orion 38 solid rocket motor which measures 1.34 meters in length and 0.97 meters in diameter. It weighs 872.3 Kilograms when loaded with 770.2 Kilograms of QDL-1 propellant. Orion 38 operates at a pressure of 45.5 bar to create an average thrust of 32.7 Kilonewtons, peaking at 36.9 Kilonewtons. It also uses an electromechanical Thrust Vector Control System to gimbal the engine nozzle by up to 5 degrees for pitch and yaw control. 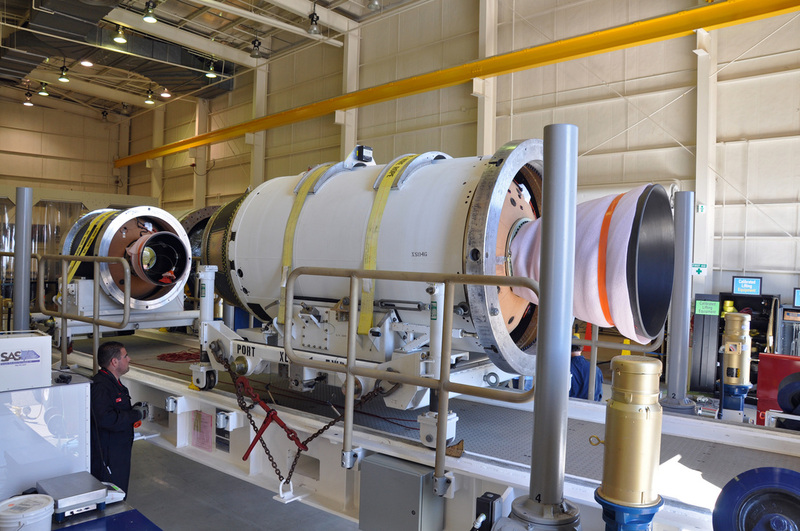 Roll control during burns and attitude control during coast phases and for spacecraft separation is provided by a Nitrogen Cold Gas Attitude Control System. The fourth stage has a burn time of 66.8 seconds that is followed by a coast phase and re-orientation for spacecraft separation. Pegasus can be outfitted with a HAPS (Hydrazine Auxiliary Propulsion System) to act as fifth stage for precise injections. It is a compact structure with a diameter of 97 centimeters and a length of about 0.3 meters. It is equipped with two spherical tanks holding Hydrazine monopropellant. Each tank holds 36 Kilograms of propellant. HAPS is equipped with a total of three MR-107N thrusters (Super HAPS uses 12 engines). Each of these engines provides a nominal thrust of 222 Newtons with a throttle capability of 109 to 296 Newtons. With the three engines at nominal throttle, HAPS has a total thrust of 666 Newtons – 68 Kilogram-force. MR-107N operates at a propellant feed pressure of 8.2 to 27.8 bar and a chamber pressure of 4.2 to 11.2 bar to create a specific impulse of 229 to 232 seconds. The engine ingests 49 to 131 grams of fuel per second depending on the thrust setting. It has a expansion ratio of 20.7. MR-107N weighs 740 grams, measuring 22 centimeters in length and 6.6 centimeters in diameter. It uses a Moog Single Seat Valve.Usually, HAPS performs two burns that are separated by a coast phase of about half an orbit to allow HAPS to perform a precise insertion and refine the vehicle’s orbit to match the target parameters.HAPS is equipped with a Cold Gas Attitude Control System for three-axis control. Differential firings of the three engines can also be used for attitude maneuvers during propulsive flight phases. Payload Adapters interface with the vehicle and the payload and are the only attachment point of the payload on the Launcher. They house equipment that is needed for Spacecraft Separation and ensure that the satellite or spacecraft is secured during powered flight. Off-the-shelf and custom adapters are available to customers to accommodate a variety of payloads.